The idea of establishing the allergy center was conceived in the early 80s .The main goal was to take a necessary diagnostic, preventive and curative measures for decreasing the allergy morbidity and mortality in the country .In 1981 onwards NIH started providing Allergy vaccine immunotherapy to the patients suffering from allergic disorders and thus NIH emerged as a pioneer in this field. The Allergy Center is the sole provider of allergy testing and Immunotherapy/ management services for the last twenty-nine years. 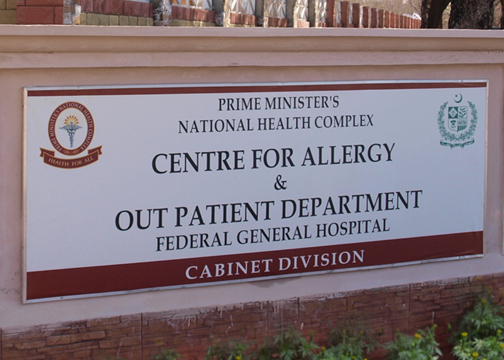 Allergy Center also keeps liaison with Islamabad Capital Territory (CDA) in the Free Allergy Camps arranged at Aabpara Islamabad every year and make use of the Meteorological Department weather forecast information on pollen for its patient’s convenience during pollen season.